As alarming questions emerge from American and South Korean intelligence agencies about North Korea’s continued nuclear development in the wake of the Kim-Trump Summit in Singapore, CNN’s Fareed Zakaria explores the story of North Korean leader Kim Jong Un – the dramatic social and economic changes he’s leading, the history of the Kim family, and the decades of the Kims’ broken promises of nuclear disarmament. For The Two Faces of Kim Jong Un, a special edition of Fareed Zakaria GPS, Zakaria speaks to long-time Korea watchers, diplomats, and other experts, about the Kim family’s brutal and ruthless reign in North Korea, and the importance of North Korea’s nuclear program to the survival of the Kim dynasty, with an eye towards understanding the broader geopolitical context of North Korea’s current actions. Interviews include: Jieun Baek, author, North Korea’s Hidden Revolution: How the Information Underground Is Transforming a Closed Society (2016); Jeffrey Lewis, PhD, Director, East Asia Nonproliferation Program, Middlebury Institute of International Studies at Monterey; Admiral Michael Mullen USN (ret. ), former Chairman, U.S. Joint Chiefs of Staff (2007-2011); Evan Osnos, journalist, The New Yorker, author, Age of Ambition: Chasing Fortune, Truth, and Faith in the New China (2015); Jung Pak, South Korea-Korea Foundation Chair, Brookings, and former CIA official; Sue Mi Terry, PhD, Korea Chair, Center for Strategic & International Studies; and, Alex Wellerstein, PhD, assistant professor of Science and Technology Studies, Stevens Institute of Technology, NUKEMAP creator, and author of The Nuclear Secrecy Blog. 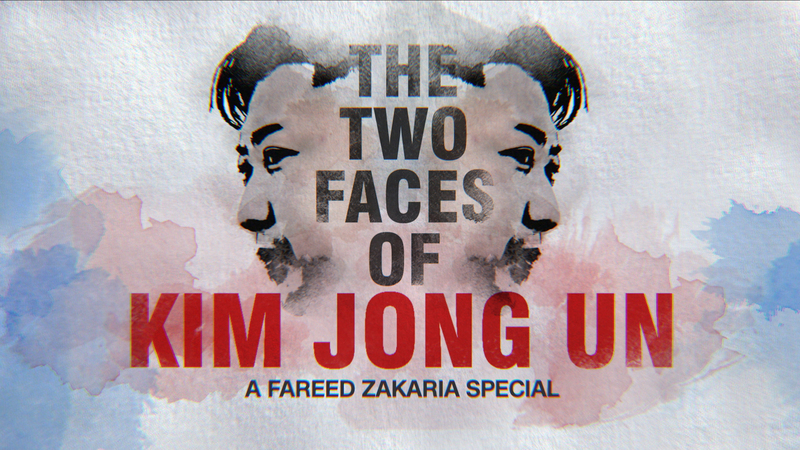 The Two Faces of Kim Jong Un, a special edition of Fareed Zakaria GPS, will broadcast Sunday, July 8 at 10:00am and 1:00pm on CNN/U.S., and at 10:00am and 3:00pm on CNN International. All times Eastern.